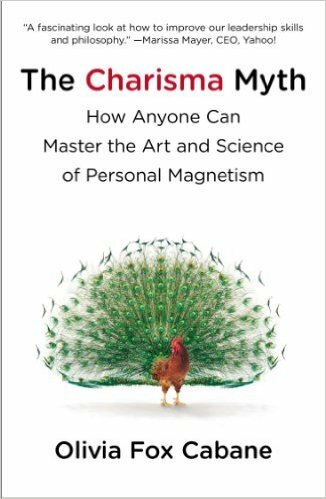 What if charisma can be learned? Tags: Leadership, sales, interpersonal relations, communication, influence, presenting, public speaking. You don’t feel like people know the real you. People say you’re cold and distant, but that’s not how you feel, and not how you want them to feel about you. You want to be a better presenter or public speaker. You want to be a better sales or biz dev guy/gal. You want to be an effective leader. I first heard about Cabane and her book while listening to a Stanford University podcast. I read her book, loved it, and later collaborated with her on an article in Forbes, Principles Of Charisma That Work Anywhere In The World. I was drawn to Cabane’s book because I wanted to get into public speaking, and I was also looking to build up my company’s team. People had told me I often sounded monotone while talking, and that when I was presenting I looked too serious, so I wanted to learn how to smile better, but naturally, and talk better so I could express myself to others the same way I really felt. Cabane’s book had tips that were actionable and simple. One I think about almost every day is maintaining good eye contact and really paying attention to people. She talks in the book about how people often say that when you’re with Bill Clinton you feel like he is laser focused on you and you’re the most important person to him in that moment. That’s how I want people to feel when I’m with them, and they can’t feel that way if I’m distracted or looking somewhere else. If you think this book is about manipulating others, it’s not. It gives you tools to communicate more effectively. Yes, you can use these tools to manipulate, just like you can use words to manipulate, but if you were worried about manipulating people with words you would try to be sincere and not manipulate people–you wouldn’t say the solution is to never learn how to use words.